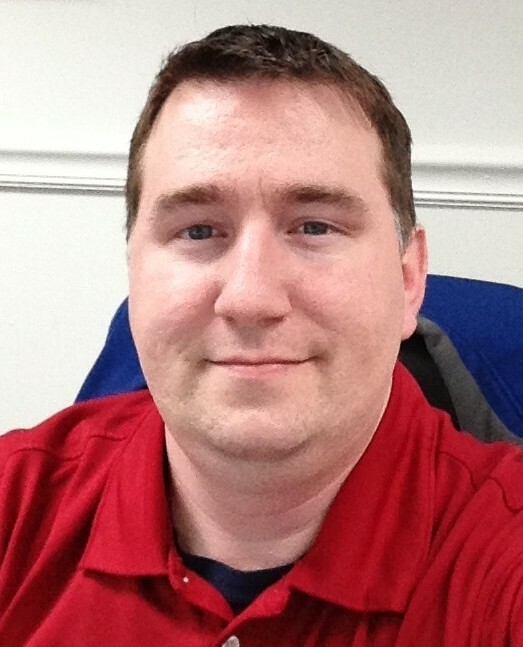 When first launching into the instance of Microsoft Dynamics AX 2012, that had three AOSes, users had no issues executing report. 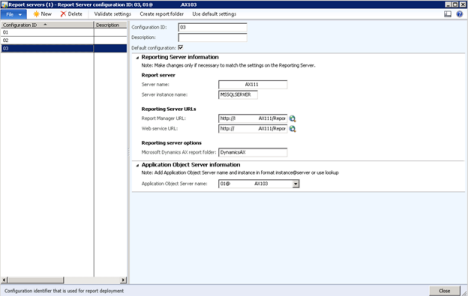 Users, that is, that where connected to the first AOS that has a Reporting Services configuration associated with it. 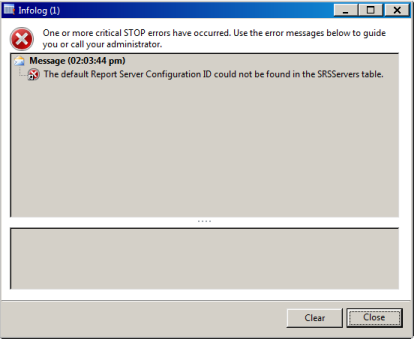 Once there was a Report Configuration for each AOS instance all of the reports SSRS Reports would generate when a client was connected to any AOS. 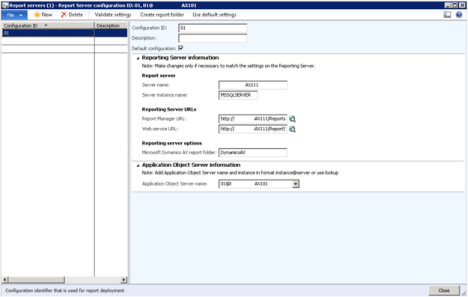 All reports where able to execute, no matter what AOS a user was logged into. Further each of the report server configurations where pointing to the NLB, or Network Load Balancing server name. 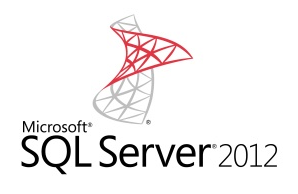 Having done this, we were able to take full advantage of SQL Server 2012, with a scaled out, load balanced reporting servers that better meets are reporting needs. This will further enable, as needed, future scale as our users demand more, and more reports from our Microsoft Dynamics AX 2012 instance. Posted on January 24, 2013 by mtortorice. Bookmark the permalink.